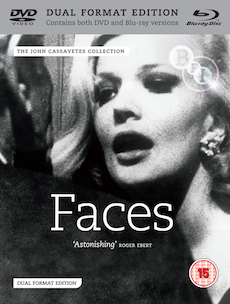 John Cassavetes’s powerful drama stars Gena Rowlands and Peter Falk as a blue-collar couple struggling to cope with the wife’s slide into mental illness. Receiving its long-overdue Blu-ray world premiere, A Woman Under the Influence is arguably John Cassavetes most popular and influential film. Released in 1974 it stars Cassavetes’ wife Gena Rowlands (Gloria, Faces) and the legendary Peter Falk (Columbo) as Mabel and Nick Longhetti, a blue-collar couple struggling to cope with her slide into mental illness. A key work from a golden era of American independent filmmaking this masterpiece is as powerful and devastating today as it was when it was first released. The film received two Oscar® nominations – Rowlands for Best Actress and Cassavetes for Best Director, losing out to Francis Ford Coppola for Godfather Pt II. Exclusive interview with Peter Falk (10 min). A filmed interview with Elaine Kagan (19 min). Fully illustrated booklet with essays, credits and film notes. Other extras to be confirmed. Richard and his wife Maria seek solace from their disintegrating marriage in the arms of other lovers in John Cassavetes’s powerful 1968 feature. Dark and powerful tale of love and betrayal, and a community gripped by an obsessive fear of witchcraft. 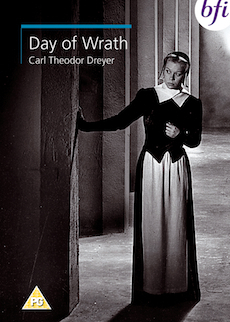 Widely regarded to be one of Carl Theodor Dreyer’s greatest works.